I think the temperature was hovering somewhere around -30C degrees today. Some say with the windchill it was supposed to feel more like -40C degrees. There was a rainbow in the sunny sky as I drove to the shop this morning. I think it was because the sky was frozen (but I’m not a meteorologist so don’t put that in your science project). As I drove over the bridge on my commute I noticed the smoke billowing out of the buildings’ chimneys all across the city skyline. Because I was somewhat protected from the elements in my car I was able to allow myself to be a little smug as I thought, we are so strong to live in a place like this and survive! Surprisingly, a lot of the people I encountered today in the shop, at the library, at The Cheesemongers, were all in high spirits. One gentleman that was also picking up some cheese for the weekend was planning on dinner at RAW:almond (Winnipeg’s pop up restaurant located on the frozen river, in a tent). Yes, these are the things that make me proud to be from Winnipeg! 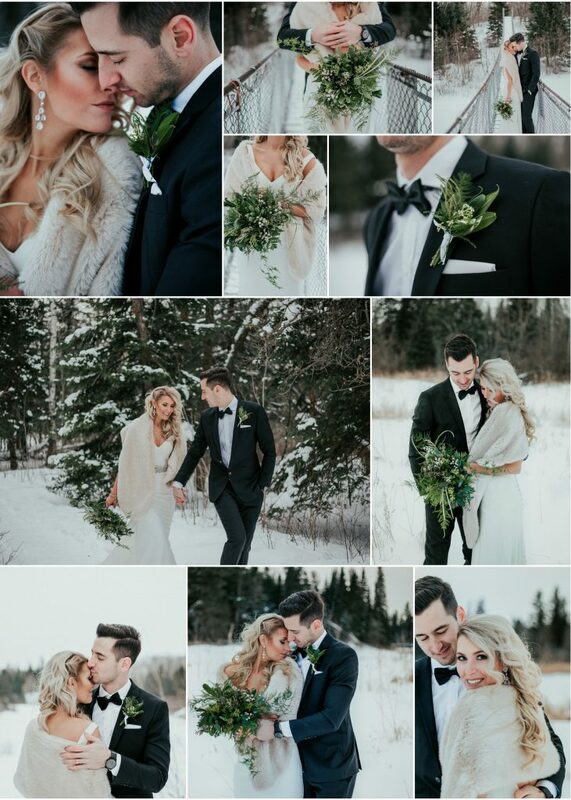 A winter wedding in Winnipeg is another thing that deserves special recognition. Winter weddings are beautiful. 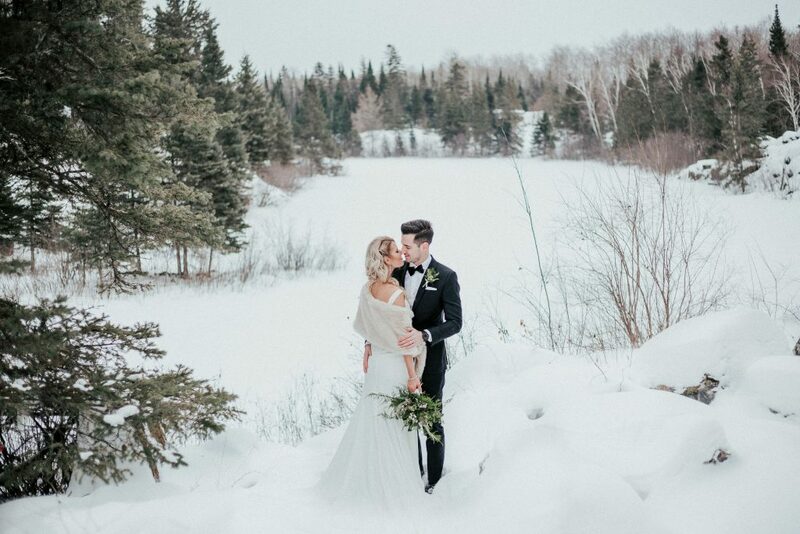 Winter weddings in Manitoba are especially magical. Of course the extreme temperatures present certain challenges. 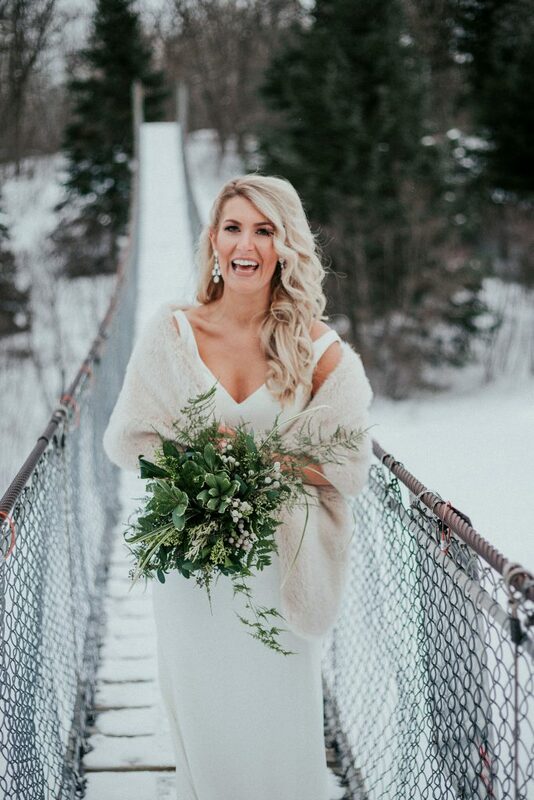 But, I think that the unique beauty that envelopes a true wintery white wedding makes it stand out from the dozens of others throughout the rest of the year. 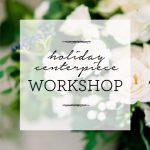 Today, sheltered in the shop from the windchill and risk of frost bite, I was working on tomorrow’s winter wedding. My fingers are still sticky from the sap (and my arms are stinging from the cedar which I am very allergic to). 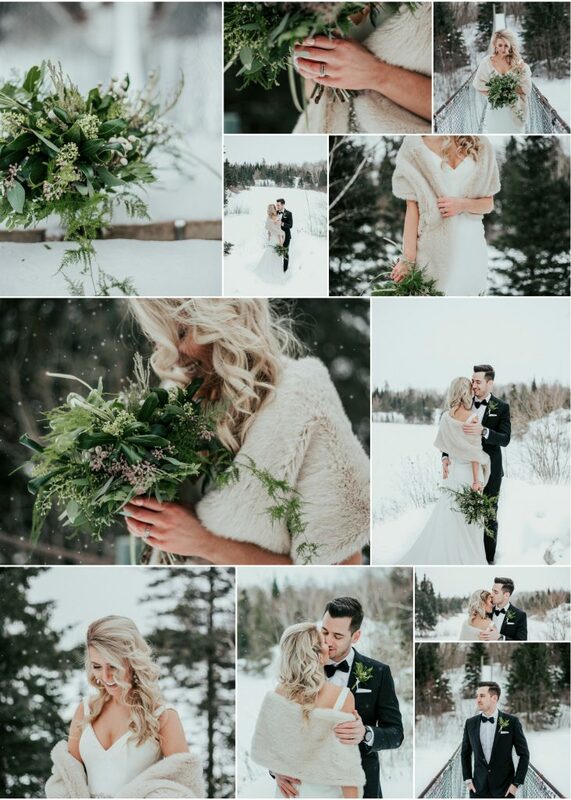 But, the fresh scent of evergreens is the perfect back drop to a winter wedding (and worth the pain)! 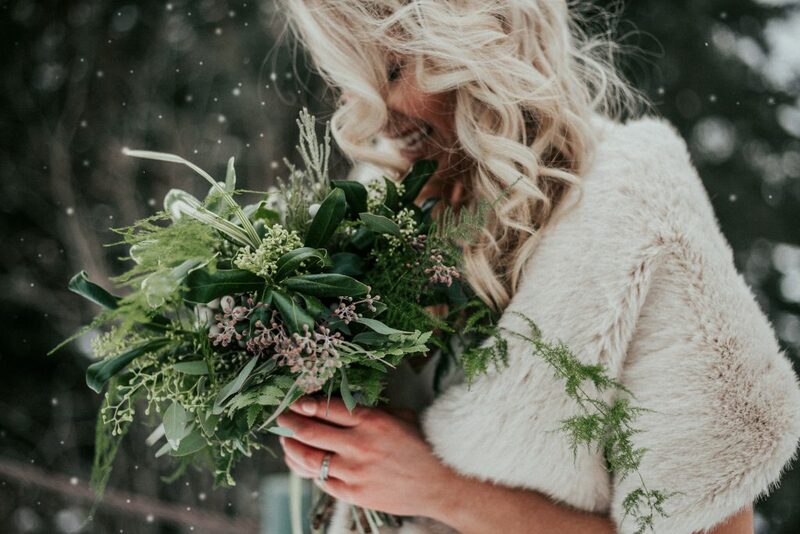 It reminded me of this winter wedding shoot. 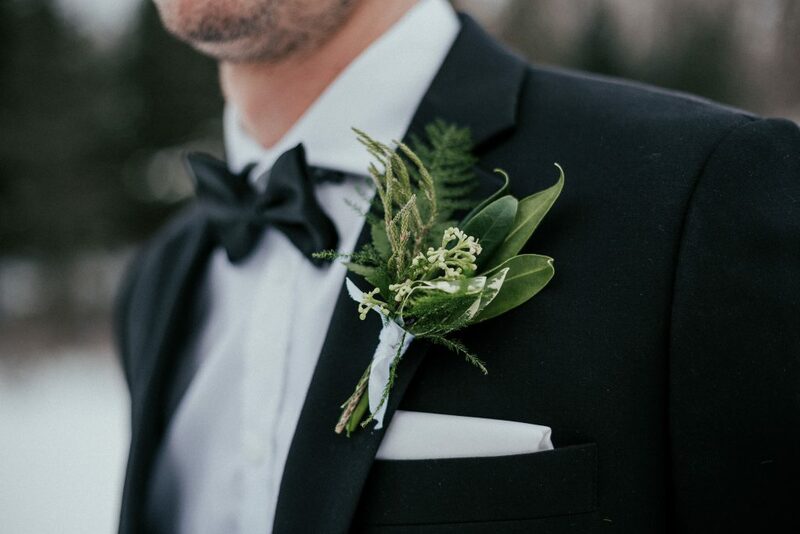 We used a gathering of all greenery so that the bouquet would look beautiful throughout. 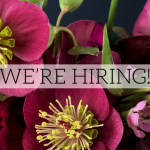 No flowers to freeze in the cold, turning a gorgeous bouquet into a handful of frostbitten, droopy sadness. Just fresh, vibrant, textured goodness! Cold noses and warm hearts. Check out these gorgeous images from Simple Perfections Photography. For a list of vendors see her blog post from this shoot.